Mr Okindo is among plaintiffs who also suffered severe emotional injuries and have been awarded between $7 million (Sh609 million) and $8 million (Sh696 million). According to court records, Mr Kinyua was in a coma for three weeks after his skull was crushed and jaw fractured. He also lost his left eye. 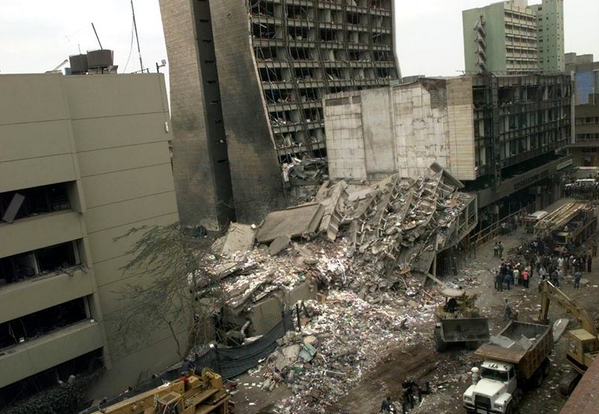 Joash Okindo is among several Kenyans who will be compensated after a US court last week released guidelines for payment of victims of the 1998 Nairobi bombing. According to the ruling by United States District judge John D. Bates in a case filed by Ms Winfred Wairimu Wamae, Mr Okindo spent about eight months in hospital after suffering a skull fracture. He was in a coma for the first month. He also sustained shrapnel injures on the back, legs and hands in the blast at the United States Embassy. Another victim, Mr Michael Toma, sustained cuts from shrapnels. He also suffered internal bleeding in his urinary system and a deflated left lung. His right eardrum was permanently damaged. Mr Toma and other victims who experienced similar pain have been awarded $7.5 million (Sh653 million) in compensation. Mr Moses Kinyua, who was injured during the explosion, is in the same category. In his ruling, the judge said the amounts were only guidelines and not rules. Posted on 7th August 2014 by newsafrica. This entry was posted in Africa, African Security, al Qaeda in Africa, Courts, Kenya and tagged al-Qaeda, Al-Shabaab, Joash Okindo, John D. Bates, Kenya, Nairobi, United States, US Embassy. Bookmark the permalink.